Please contact webmaister if you can put a name to a face. May 2003, my thanks to Jim Turnbull for supplying some of these names. .......I was born in Duke st Hosp.,lived in Baltic St,. Dalmarnock Rd . Carstairs St and finally in Cornalee Rd Pollok. Started my time in Stephens as a Joiner. Left there to play fitba with Leicster City and then on to Third lanark and Motherwell. Served with the Cameronians in Bahrain Muscat and Oman and Kenya. Married ma wee Wife Jane in 1960. Moved to canada in 1967 . Had 3 Sons , my youngest Boy Kenneth was killed by a drunk driver in 1984. We now spend our time between Scotland, Canada and Florida. I think that is about it . 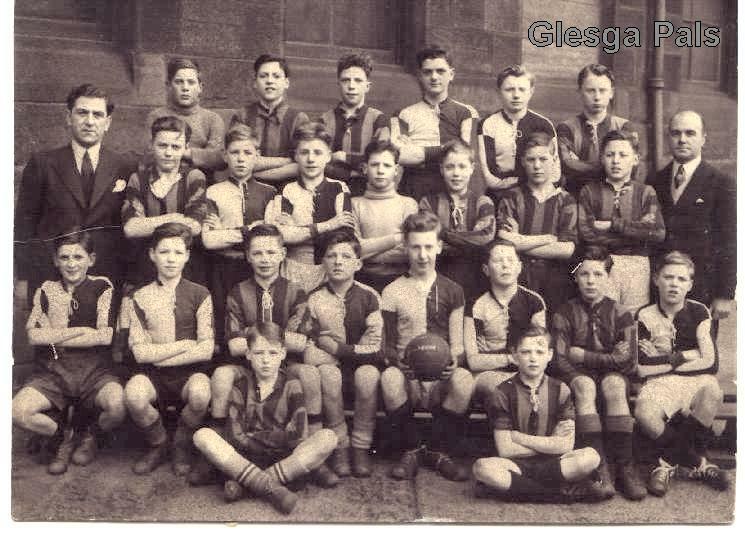 In the Glesga pals school fitba teams ............. Love this web site.